Welcome to City Centre Recruitment. We have vibrant teams of dedicated recruitment consultants working on vacancies across Dorset, Hampshire and Somerset – Specialising in finding the right people for the job! Our website is updated hourly with our latest temporary and permanent job vacancies. The site is fully interactive allowing candidates to not only search our latest vacancies but also to register CV’s online. Please take time to have a look around our website for our latest blog post, testimonials from happy clients and candidates, information for job seekers in our Job Seeker and Temp Zones and lots more information for employers on the services we provide. Testimonial for Catering Division of City Centre Recruitment with offices in Bournemouth, Southampton, Weymouth, Taunton, Charminster and Yeovil. The Charminster Office specialises in the provision of temporary and permanent Catering, Chef and Housekeeping staff to business throughout the Dorset and Hampshire. Testimonial for the Driving Division of City Centre Recruitment with offices in Bournemouth, Southampton, Weymouth, Taunton and Yeovil. The Driving Division specialises in the provision of temporary and permanent Driving staff to companies throughout the UK from our 5 offices. Brilliant , you must be the most efficient person working for an agency that I have ever dealt with , well done . Testimonial for The Driving Division of City Centre Recruitment with offices in Bournemouth, Southampton, Weymouth, Taunton and Yeovil. Teh Driving Division specialises in the provision of temporary and permanent Driving staff to companies throughout the UK from our offices in Rugby, Warwickshire. The chap I have just had in today by the name of Bruce. Late replacement. He was absolutely fantastic and blows out any theory of the test we give being difficult. His driving skills were excellent as was his attitude to being here and the whole experience. Please pass the message on to City Centre Recruitment as he is exactly what we are looking for. Well done! Testimonial for The Taunton office of City Centre Recruitment with offices in Bournemouth, Southampton, Weymouth, Taunton and Yeovil. Our catering Division in Taunton specialises in the provision of temporary and permanent Chef, Catering, Housekeeping, Cleaning and Hospitality Staff to companies throughout West Somerset and further afield. I will not require any of your staff for next week (currently). I will be talking to them all before tea break to explain. I need to forecast dispatches to NZ and OZ over the weekend and I will only incorporate our full time staff’s productivity. There is a strong chance that NZ and OZ will reject my forecast and demand more. If this is the case then I will let you know and hopefully the guys I have now will still be available???? I want to thank you for finding the staff I have now. They meet the criteria perfectly and get along with everyone at our company. Please find attached the time sheet for this week (fax to follow). Thank you so much for all your help, hope I can nail it at the interview tomorrow, if I do, there will be a nice bottle of wine on your desk and a tin of chocolates to share around the office ! Your agency has been fantastic so far and I really appreciate it, thank you all for your hard work! I would highly recommend your company to others, as you have provided me with results where other agencies in Dorchester, have not even had the decency to communicate once, after joining in the past. 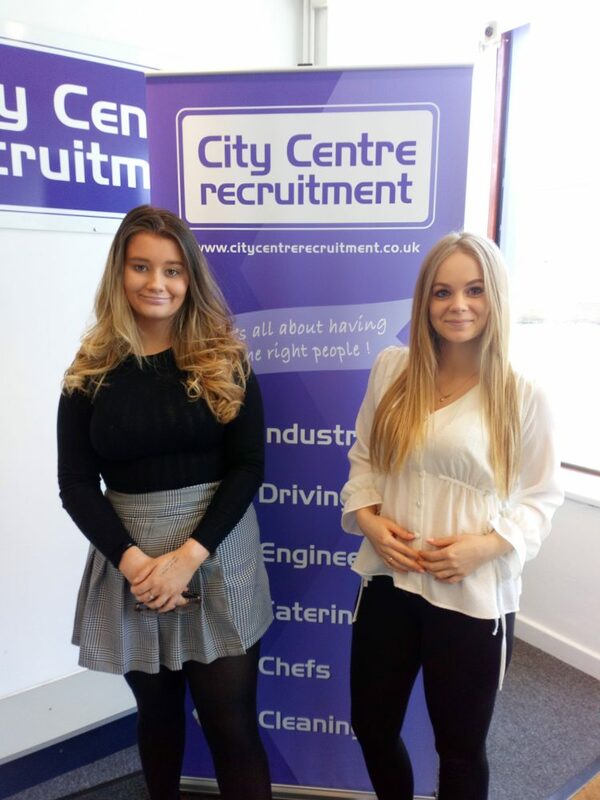 Well done to all of you at City Centre Recruitment ! Testimonial for Bournemouth Office Industrial Division of City Centre Recruitment of Yeovil, Weymouth, Bournemouth, Taunton, Charminster and Southampton. The Bournemouth Office Industrial Division specialises in the provision of Engineering, Driving and Industrial jobs and candidates. Just wanted to drop a note to say thank you for your efforts this week. Drivers overall have done a great job and we are in a good place. I'm hoping to be in this position at the end of next week. Testimonial for City Centre Recruitment of Yeovil, Weymouth, Bournemouth, Taunton, Charminster and Southampton. The Southampton Office specialises in the provision of Engineering, Driving and Industrial jobs and candidates. 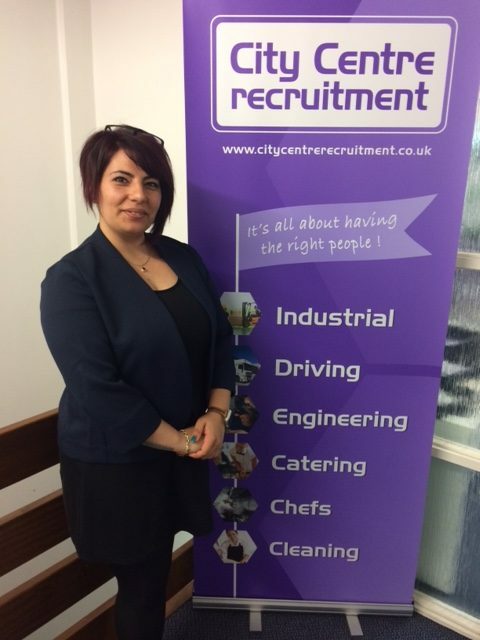 Testimonial for Hospitality Division of City Centre Recruitment with offices in Bournemouth, Southampton, Weymouth, Taunton, Charminster and Yeovil. Our Charminster Office specialises in the provision of temporary and permanent Chef, Catering, Houskeeping, Cleaning and Hospitality Staff to companies throughout Dorset and Hampshire and further afield. Just a quick note to say a big thank you for organising the waiting staff for us last Saturday and at such short notice. The girls were all lovely and helped to make my son and new daughter-in-laws day a perfect one. Testimonial for The Cleaning Division of City Centre Recruitment with offices in Bournemouth, Southampton, Weymouth, Taunton, Charminster and Yeovil. The Charminster office specialises in the provision of temporary and permanent Chef, Catering, Houskeeping, Cleaning and Hospitality Staff to companies throughout Dorset and Hampshire and further afield. We are ideally looking at this stage not sounding to desperate but for Tuesday ideally Six CSCS card holders most likely then looking to increase throughout the summer. I found you extremely useful last year and to be honest you saved me on more than one occasion which is why i'm keen to work with you again!